Saw this on Best of Longmont today. Very interesting. This isn’t the first time, accidental or not, that Karen Benker has asked us to forget things we observe. Remember her saying we should not pay attention to what we currently see at the Twin Peaks Mall. It is a little tough to try to “forget” her “results” because she’s constantly boasting about, and inflating, them. “Continue to bring the change”? So this “change” thing is an ongoing operation from a 4+ year “old guard” bureaucrat like Ms. Benker? Please. Time to make a change alright, in the Ward 2 City Council seat. Sometimes, true feelings (like what you see above) just accidentally come out. It’s just easier to be yourself, but if she did that, this election would be a landslide…and not for her. Yet another case of the pot calling the kettle black. Longmont City Council member Karen Benker has filed a complaint with the Elections Committee about a robo-call that went out recently. Hi this is Karen Benker. For the past 4 years I have served as your city council member and I am seeking reelection this year. Over the past couple of weeks many of you have received phone calls and fliers in the mail that have lied about my work on council. During my tenure as councilwoman I have faithfully and honestly represented my district. I am asking you now, do not to believe these lies paid for by outside interest groups from Montana who are spending thousands of dollars slandering my name. I am a true advocate for you. Again this is Karen Benker, and I hope you will vote for me this week. If you have any questions about my votes on city council, about my position on an issue, or the work I have done on your behalf please call me at 303-774-7745 or go to my website www.karenbenker.com. This phone call was paid for by Benker for City Council, Dennis Etchells, Treasurer. “Faithfully and honestly“? I don’t live in Ward 2 so I didn’t receive many of these mailers or calls, but they sound pretty spot on and not full of lies or slander. Ms. Benker apparently, as the great Jack Nicholson once said, “can’t handle the truth“. And she wants to make sure the truth is whitewashed as much as possible before Election Day. 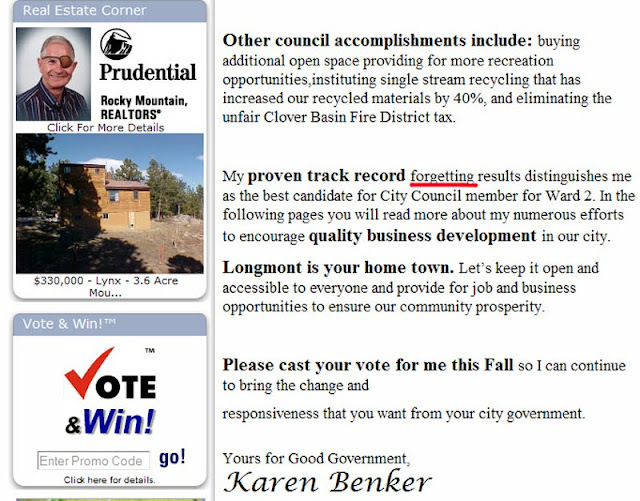 Seems Longmont City Councilmember Karen Benker sent out some SPAM emails to her neighbors in the Prospect neighborhood. Here it is below (in black) with some additional made-up lines thrown in (in red) to make it more interesting. Enjoy. I ask you for your vote (but if you’re smart, you’ll mail it in after Election Day, or just vote for my opponent Katie Witt). Many thanks. Voters in Longmont by now have received their mail-in ballots for city council candidates and various other races and issues. But this year you should consider yourselves not just voters, but judge and jury. 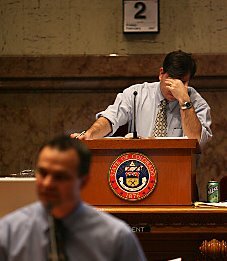 We have a council member and candidate who has skirted Colorado’s Sunshine Laws for two decades and so far has gotten away with it. This time around you, the voter, can deliver much needed justice. The person in question is Council member Karen Benker. Back in the ‘90’s an issue that was brought up repeatedly by the Rocky Mountain News through articles and editorials was charges she violated Open Meetings laws. Her fellow RTD board members echoed this sentiment and a recall effort was attempted against her, although thrown out on a technicality due to jurisdiction. As everyone should know by now, Ms. Benker is part of a council with a staggering amount of secret Executive Sessions, so much so that the Times-Call is suing this council over it. And now it has been revealed that she has repeatedly, and intentionally in my opinion, disregarded the Open Records law when it comes to making her emails public. Further, in the April 29, 2008 Longmont City Council Study Session, Ms. Benker asked the City Attorney specifically about this, and he clearly said it was not up to the receiver, in this case a council member, to determine the confidentiality of a communication – it is up to the sender. But these emails had to do with city business, not a personal note asking how the family was doing or anything along those lines. This was about funding anomalies concerning Ms. Benkers dealings with H.O.P.E. and the emails alluded to “frustrations that Longmont developers have with Karen Benker” (from Ms. Benkers 8/5/09 Times-Call op-ed). As you can see these are clearly not private or personal communications, they relate to public policy. To prove this is not an election issue or some hatchet job, not only have I written about this for over 18 months, but the Times-Call did a series of stories and an editorial about it last June – before Ms. Benker even announced her candidacy. Her latest violation occurred in late July 2009, after all of the public attention was paid to this issue. In Ms. Benkers emails that were made public and in her op-ed she quoted directly from the emails in question, which would make the material within them public information and no longer confidential. She had the option of redacting the names of the people who sent her those emails, but after more than 2 months she has still not forwarded these to the city’s server as mandated by law. Instead she has insulted me, my website, and the other individual who dared question her activities (Greg Burt). To further make the case that this isn’t an election issue, I am requesting the DA’s office pursue this regardless of the outcome of the upcoming election. Of course, it’s inevitable that it indeed will have to be considered during this election season because Ms. Benker has recently (allegedly) violated this state statute, and the coincidence of the time of the year. Due to the DA’s Office time constraints (and they have not indicated they will even consider this case) they may not be able to get to it before Election Day. This is after all just a misdemeanor, but punishable by a fine of not over $100 and/or imprisonment for not more than 90 days. If that maximum penalty wasn’t written for repeat and intentional violators, why was it written at all? And if this law won’t be enforced, why bother having it? The DA’s office didn’t pursue the previous complaint against Ms. Benker (possible C.R.S. 24-18-109 violation), which doesn’t exactly mean she’s innocent of it, and I don’t know if they’ll pursue this either. Regardless of that, thankfully the largest jury in the city – the voters of Longmont – can render their own judgment in this matter. On Ms. Benker’s website she says “Longmont voters are smart, don’t be fooled!” Not only has she tried to fool the citizens of Longmont, she’s tried to hide it by abusing Open Records and Open Meetings laws. A vote for Karen Benker is a vote for continued dishonest government. A vote is a terrible thing to waste. Below you will see the correspondence I sent to the Boulder Assistant District Attorney in regards to the alleged Open Records violations of Longmont City Councilmember Karen Benker. This was sent September 29, 2009. Below this communication there are updates to the ongoing situation. Even if the DA’s office wont pursue this, citizens and voters need to be aware of it. It was nice talking to you about this subject, thanks for your time and consideration of the following. I believe Longmont City Council member Karen Benker has violated provisions of the Colorado Open Records Act (24-72-201) and I’ve provided below the basis of that opinion. Below are several hyperlinks to documents for background information, which I will try to explain. This is a Longmont policy/procedure document having to do with emails. Highlighted on pg. 12-3 is the subject of confidentiality, this topic will become more important as you read the other documents. This is a transcript of the April 29, 2008 Longmont City Council Study session, and the audio in mp3 format. This is a discussion that Karen Benker initiated about emails and Open Records. In this exchange between council members and their City Attorney, it’s pretty clear what is expected in the arena of emails. Also, the City Attorney gives his interpretation of what is “confidential” and how it is established. This discussion references an “administrative regulation” which I believe is the document above, but could possibly be a confidential communication between himself and council. This is an April 30, 2008 story I wrote about the 4/29 meeting. The point of this and subsequent stories submitted by the Times-Call and myself is to point out this is not a new issue, it’s been an ongoing and very public story. Times-Call June 14, 2009 “Request for council members email’s rife with difficulties”. This talks about council members being assigned city based email addresses, something that was long overdue. The Times-Call did an Open Records request of emails, this was the result of that request. Times-Call’s June 14, 2009 “Lot’s of room for error built in”. In this, council members are quoted about this ongoing problem. Karen Benker admits in this story that she had not been following the policy. Check some of the quotes, keeping in mind she’s been on council for over 4 years, and was made quite aware of the policy and state statute in April 2008. Karen Benker’s August 5, 2009 Open Forum letter to the Times-Call on this subject. She again references an email from Mr. Burt that does not appear anywhere on the city’s server. You may or may not be aware that the Times-Call is suing the City of Longmont over Open Meetings violations. I only bring this up as Ms. Benker in her capacity as an RTD board member in the ‘90’s was also accused of violating Open Meetings law (the Rocky Mountain News wrote some stories and an editorial about this) and citizens tried to mount a recall effort against Ms. Benker to remove her from her RTD board position. So this is not a new issue that someone in her capacity and experience can claim as ignorance of the law. The supporting documentation I’ve provided, and there could be more, shows a timeline of how and when she was made aware of this law and her responsibilities – and then afterwards continued violation of the Colorado Open Records Act where it appears to be intentional. On the “confidential” aspect: I included relevant documents about this as I expect it to be the defense for her actions. You’ll note in the first attachment and the transcription of the 4/29/08 City Council meeting that it is up to the “Sender” to claim confidentiality, not the “Receiver” to determine. Further, it says the request for confidentiality shall be in the “salutation”. The Longmont City Clerk told me this indicates the “Subject” area, not within the body of the email. Also, the fact Ms. Benker included the subject of these emails within the email to Mr. Burt and the op-ed in the Times-Call would, to me, make something supposedly confidential quite public. She could have redacted names from emails if she chose to, but as of this date (2 months after exposing the content of those emails) she still has not done this. I appreciate your position that how your office operates is outside the timing of elections. As you can see, I and the Times-Call have been writing about this issue for much longer than one election cycle and this all occurred prior to Ms. Benker even announcing her candidacy. But it now has become an election issue due to the mere timing of her latest, in my opinion, violation. Like I said, I have no problem dealing with this in the court of public opinion. But something I repeat often is the concept of holding elected officials accountable. If it appears an elected official has violated a state statute, what faith will citizens have that officials truly are being held accountable if no one’s willing to enforce the law? And if a law is not going to be enforced, or only selectively, why bother even having it? I know this is more philosophical, but when this gets out, and it will, people will be asking those questions. And I can’t say I would blame them. As previously mentioned, the above correspondence was sent September 29th. As of October 5th there has been no response, but a misdemeanor like this is not likely high on their list of priorities, which I understand. I did receive a call from the Clerk of the Court‘s office about the steps I can take (and what it would cost) to file a case in court over this issue. September 30, 2009 Longmont Times-Call Open Forum letter by Chris Rodriguez and rebuttal by Karen Benker. To me this appears to be an open and shut case, regardless if the DA’s office decides to pursue it or not. At the very least, with all the Times-Call stories and advice from her City Attorney, it shows complete incompetence and ignorance on Ms. Benkers part. I’m sure this will only appear to some as a campaign season attack piece, but if you go through the timeline, you’ll see this is not a new issue for Ms. Benker, the Times-Call, or myself. 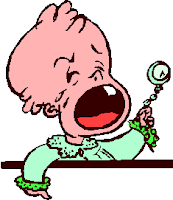 How any ardent Benker supporter can look the other way after reading all of the above articles and documents is a gargantuan leap of faith. How any voter could consider returning her to her Ward 2 seat is equally appalling. UPDATE: It appears Ms. Benker has further violated the Open Records Act and is telling her fellow attack dogs to use “CONFIDENTIAL” in clearly non-confidential emails so as to conceal them. She is also apparently having these people, most notably Kaye Fissinger, to look into organizations she doesn’t like and homeowner information on private citizens. This also has been forwarded to the Boulder D.A.’s Office and they have added it to the previously large packet of information they have already received.